Deltatre’s solutions, refined over the past 30+ years, bring to life the most fan-centric experience that helps organizations at any level achieve a wide range of digital KPIs. Forge - our sport-specific CMS that has become a cutting-edge, modern and innovative solution for the needs of modern-day sports media clients. We identified (at least!) 6 reasons that back up this claim. Six ways that help our clients forge (pun not intended...) an enhanced fan experience through disruptive pieces of content and innovative ways to communicate and engage with users. A seamless workflow when creating content must be at the core of a CMS to achieve the best editorial results in a smooth and quick way. Sport moves fast, its action unfolds around the clock and the modern editor needs to be able to work efficiently when under pressure or against tight deadlines. Forge enables editors to combine text and media. Every story published through Forge allows external content to be embedded, through a specific module that only requires a certain set of data. Built-in connectors make it easier than ever to integrate Facebook, Twitter, YouTube and Instagram content for publishing, as well as custom data coming from third-party providers. Think infographics, stats, polls, or other sports-related widgets such as results, schedule, medals and more. We all know how crucial it is, for the modern-day sports fan, to grab all the content meaningful to them in a single glance, don’t we? Forge’s interface is highly intuitive, and editors can focus exclusively on producing great pieces of content. If their aim is to be the first out there with breaking news, Forge is by far the most powerful tool at their disposal. What makes the features described above even more powerful is the ability to update permissions via the mobile back office of Forge - meaning administrators can remain in control even while on-the-move. Our latest release on mobile saw the addition of custom entities, with Forge now allowing editors the possibility to curate, implement and publish content anywhere and in any situation, simply using by using their smartphone. They are able to create and edit entities metadata (think videos, specific athletes, etc.) and use them to enrich the storytelling. We’ve worked hard to ensure the experience for content creators is consistent between desktop and mobile on the back office, helping to bring the Forge CMS to the forefront of innovation. Forge allows editors to easily create content and translate it in any number of languages for end users. The platform supports a quick translation within the user interface, as well as complex translation workflows involving third-party tools. And that’s not everything. All of the content is stored with UTF-8 encoding, in order to ensure the compatibility with non-Latin languages as Arabic, Chinese or Russian. Know your audience and you can feed them with the content they want. It’s not a simple assumption or cliché - measuring the effectiveness of your content has become more important than ever in aiding investment into technology and programming. 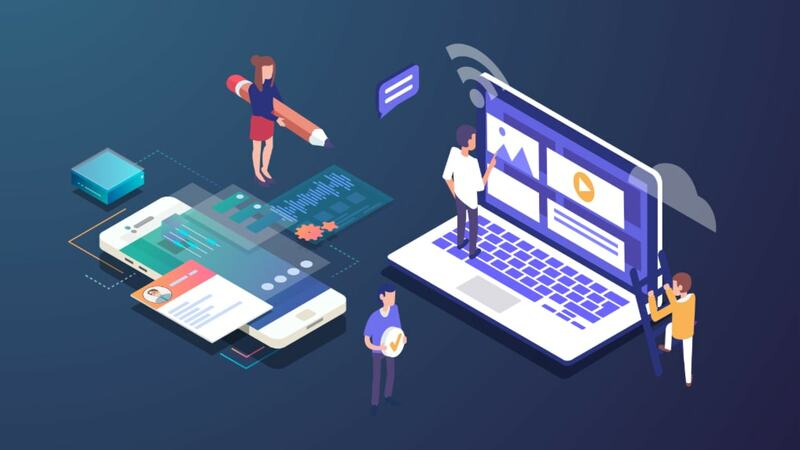 Forge allows easy integration of third-party analytics systems with its back office, a fundamental step to enable media and content producers to analyze how editorial content is performing on the front end. Due to the highly customizable nature of the CMS, editors can even have an overview of the top performing entities across its website on a dedicated dashboard. Of course, Forge supports well-known audience data platforms, like Google Analytics, but it also allows you to integrate with the analytics system of your choice. All the relevant information you need to run your service effectively at a glance - what else do you need? Have you ever thought of consuming stories as if they were snacks? Today’s younger generations have very little time and are surrounded by near-limitless content sources the media landscape of today. The quicker you catch their attention - and with the most impactful content - the better. Superlayer is the answer, the only full screen and mobile-first experience, enhanced by Forge, that brings bite-size content to life. How? It acts as a ‘cover’ on existing digital content, promoted through immediate accessibility and immersive experience. See below for an example of what we mean. Superlayer has been built on three user pillars - that access to visual content should be fast, open and - most importantly - fan-first. Superlayer embraces these attributes through interactive digital cards that tie static images, videos, and animations into an enhanced marketing message. Not only does this seamlessly integrate the most common analytics tools, it also enables advertisements - opening new revenue streams for operators. These are (only) six of the benefits of Deltatre’s sport-specific CMS. From a user-friendly and intuitive content creation workflow to the possibility of working on-the-go and authorizing specific authors, to the integration of a tool like Superlayer - with Forge, sports organizations and media rights holders can now own the conversation.